Last summer, Freedom Alliance joined Michael W. Smith and other musicians and entertainers for an inspirational Alaskan cruise. We were treating four wounded servicemen and their families to a vacation that included spiritually focused concerts and speakers. While on the voyage, we were approached by Bruce and Kimberly Krueger from Texas. This couple was so moved by the stories of the veterans who had overcome great odds to survive and come home to their families. They asked Freedom Alliance to consider their private ranch as the site of a future event for similar soldiers. Of course, we gratefully took them up on the offer. We contacted Bobby, a resident of San Antonio. The retired master sergeant spent much time at the Brooke Army Medical Center (BAMC), which is also in San Antonio, after he was stricken by a suicide bomber in August 2006. With burns all over his body, Bobby fought hard for his recovery. Today, the sergeant advocates for veterans’ rights and mentors other service members who have returned from combat with injuries. We asked Bobby’s help in finding another vet to connect to, and he chose Richard, a Marine who is running a program at Texas A&M University-San Antonio that reaches out to students returning from military service. Bruce Krueger is an Army veteran of the Vietnam-War era. 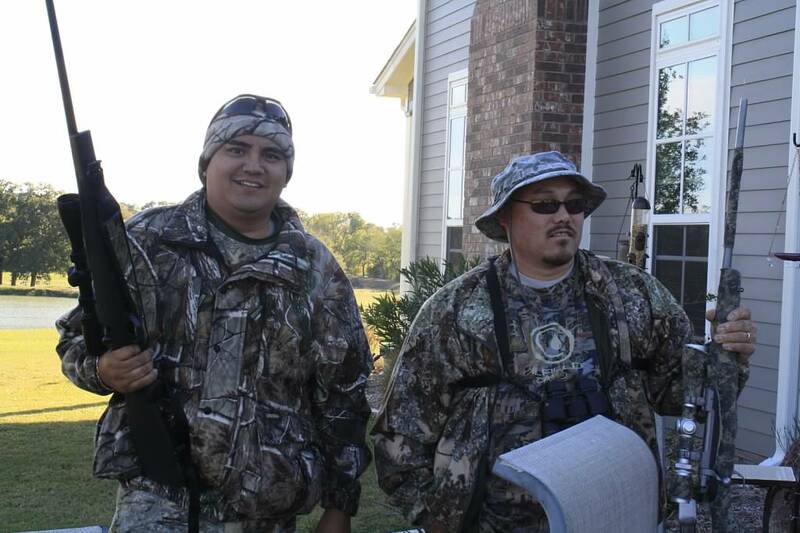 He and his wife, Kim, welcomed Bobby and Richard to their ranch near Athens, Texas, for a long weekend of hunting. They provided the meals and lodging, as well as guides for the hunt.